NEW YORK (Dec 22): The three main U.S. stock indexes rose on Thursday, boosted by bank and energy stocks as investors bet on more economically sensitive sectors. Energy and financial stocks led gains among the 11 major S&P sectors. Financials have gained 21 percent this year, compared with a 20 percent gain for the S&P 500. Energy, by contrast, has underperformed this year, with a 4.2 percent loss year-to-date, and some analysts suggested that Thursday's gains reflected a rotation to stocks particularly responsive to economic growth. "Today of late, (energy has) picked up significantly," said John Stoltzfus, chief investment strategist at Oppenheimer Asset Management in New York. "In particular, it reflects the effect of growth outside the U.S. and the demand for imports of oil...There's an opportunity to see oil run further." Chevron shares jumped 3.3 percent. The shares earlier touched a record high of $125.35, after broker Cowen & Co raised its price target on the stock by nearly a third to $160. The U.S. Congress approved a $1.5-trillion tax bill this week that will slash corporate income tax rates to 21 percent from 35 percent. Investors are hopeful that the lower rates will prompt companies to spend more on dividends and share buybacks. "There's still the after-effects of tax reform being passed," said Michael Antonelli, managing director at Robert W. Baird in Milwaukee. "I get the sense that the market is very optimistic about next year." 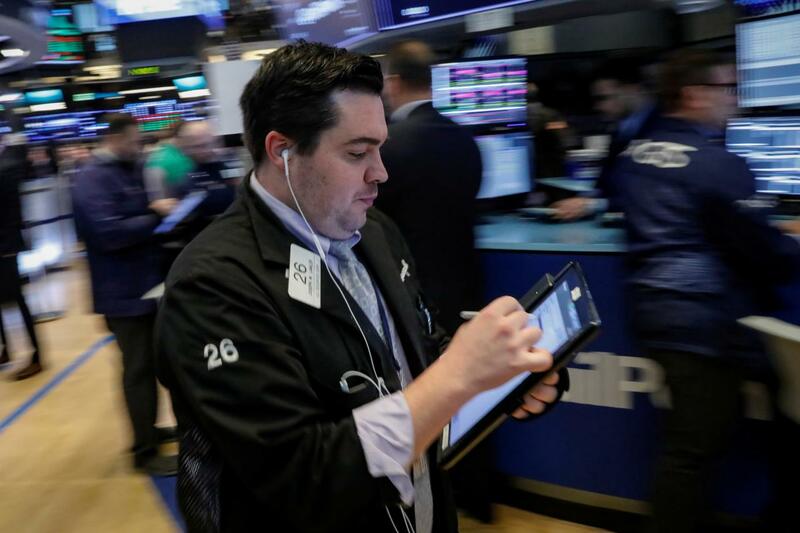 The Dow Jones Industrial Average rose 55.64 points, or 0.23 percent, to 24,782.29, the S&P 500 gained 5.32 points, or 0.20 percent, to 2,684.57 and the Nasdaq Composite added 4.40 points, or 0.06 percent, to 6,965.36. Adding to the upbeat sentiment, third-quarter data showed that the U.S. economy grew at its fastest pace in more than two years, powered by robust business spending. A separate report showed a jump in the number of Americans filing for unemployment benefits last week, but the underlying trend in jobless claims remained consistent with a tightening labor market. The utilities sector, among sectors likely to benefit the least from tax cuts, fell 1.2 percent, in a fourth consecutive day of declines. Shares of Accenture PLC rose 1.6 percent after the consulting and outsourcing services provider reported a quarterly profit that topped Wall Street forecasts, driven by digital and cloud services business. The shares earlier hit a record high of $158.44. Advancing issues outnumbered declining ones on the NYSE by a 1.54-to-1 ratio; on Nasdaq, a 1.60-to-1 ratio favored advancers. Volume so far on U.S. exchanges was 6.08 billion shares, compared to the 6.88 billion average for the full session over the last 20 trading days.